FootBall is also known as Soccer is a team sport of and is played by 250 million players in over 200 countries and dependencies, making it the world's most popular sport. * Extra time is added in proportion to the delays, These delays may be due to injuries, time lost through substitutions, general time wasting etc. Two assistant referees - who officiate from the touchline may advise him, particularly on issues of offsides and whether the ball has left the pitch, or draw his attention to infringements that he may have missed. The field size is directly proportional in the league and international matches. Longer sides - touch lines, Shorter sides - goal lines. Fields are divided into two halves with each team defending their own goal. Adjacent to the goal lines is the 18-yard and 6-yard boxes also known as the penalty area. Each professional league around the world uses its own specific ball. 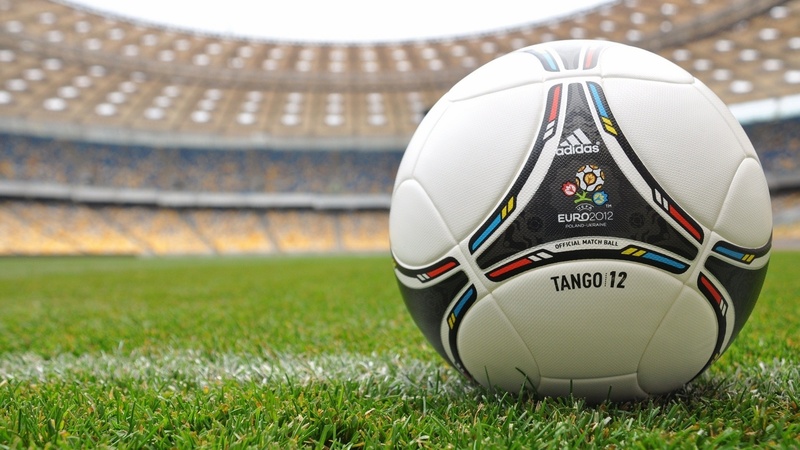 Every World Cup offers a new and unique ball reflecting the host country's culture. An attempt on goal is referred to as a "shot". 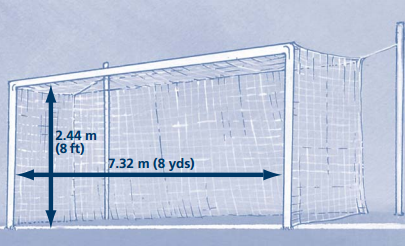 The goal structure is defined as a frame 24 feet (7.32 m) wide by 8 feet (2.44 m) tall. The Laws of the Game do not mandate the use of a net and only require that any net used not interfere with the goalkeeper. Goalkeepers: He/She has to try and stop the other team from scoring, The goalkeeper is the only player who can touch the ball with his/her hands. Midfielders: They are the players in between the defenders and strikers. Strikers (forwards or attackers): They try to score goals. 4-3-3 - The 4-3-3 formation is extremely offensive and relies heavily on passing. 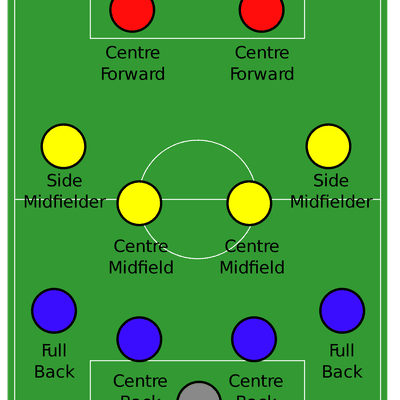 4-4-2 The 4-4-2 is widely used as a counter-attacking and more direct style of play. It is a very balanced formation and players are spread out well across the field. (Union of European Football Associations) is the division where Europe's teams are placed. The most famous teams are especially from this region including Germany, Italy, England ,France, Spain and Netherlands. Spanish La Liga is the second most-watched league because of its reputation among other leagues by including many great legends and current players. The Italians do have a number of excellent teams and star players. These are some "Calcio" kings, "Calcio = Italian football" for here. The league currently features ten teams from around India. The teams play in a single table during the regular season and each team will play each other twice, once at home and once away from home, to complete a Eighteen game season. The Indian Super League champion qualify for the AFC Cup play-off spot.